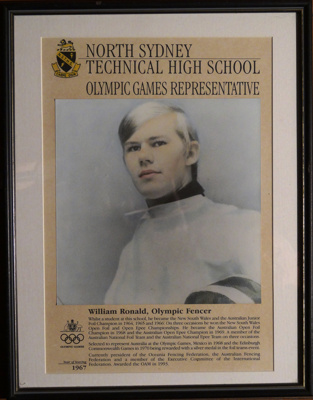 Whilst a student at this school, he became the New South Wales and the Australian Junior Foil Champion in 1964, 1965 and 1966: On three occasions he won the New South Wales Open Foil and Open Epee Championships. He became the Australian Open Foil Champion in 1968 and the Australian Open Epee Champion in 1969. A member of the Australian National Foil Team and the Australian National Epee Team on three occasions. 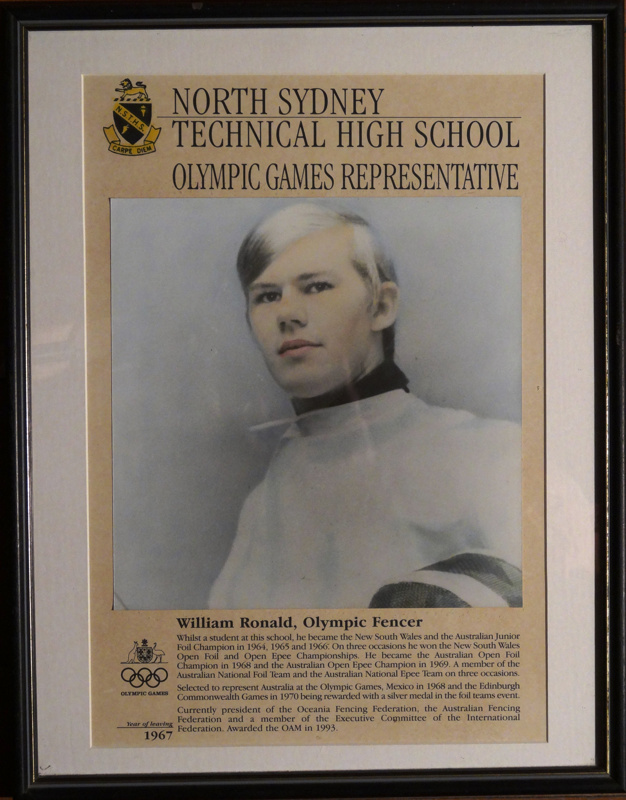 Selected to represent Australia at the Olympic Games, Mexico in 1968 and the Edinburgh Commonwealth Games in 1970 being rewarded with a silver medal in the foil teams event.